The Ace Combat series features some of the most rich and emotional scores in video game music. Each of the score’s seven console instalments has reinvented the sound of the series, from the flamenco-infused anthems of Ace Combat Zero to the gritty electro-orchestral fusions of Ace Combat: Assault Horizon. For over a decade, Keiki Kobayashi served as the music director and lead composer of the series. In this rare interview, Kobayashi discusses his approaches and inspirations to writing orchestral music. He discusses his roles on the Ace Combat franchise, including how he approached the series’ incredible main themes, as well as his wider roles on franchises such as SoulCalibur, Disney, and The iDOLM@STER. 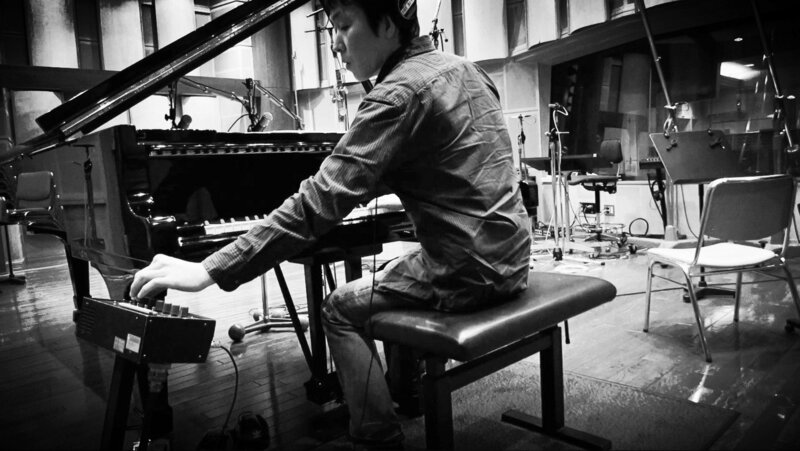 Having recently wrapped up work on Ace Combat Infinity, Kobayashi also discusses why he has decided to leave Namco Bandai Studios to become a freelance composer and songwriter. Chris: Keiki Kobayashi, many thanks for talking to us today. First of all, can you share with us your musical background and education? Keiki Kobayashi: It began with my sister. From when she was little, she was always practicing the electric organ (Yamaha’s Electone), and I got my start in music by singing with her as she played. Later, I decided to study music for myself and went to a music college for education in composition, gaining academic experience. At the time, I was also a part of the choir and appeared as a part of that choir singing in classical music performances. After finishing college I entered Namco, and worked for 15 years as a sound creator there. In August of this year, I left the company to become independent, and today I am working in a variety of compositional fields outside of the limitations of being at a company. Chris: Through the Ace Combat series, you cultivated a distinctive orchestral sound: strong, emotional, melodic, and cinematic. Could you tell us more about how you conceived and developed this sound? Why do you think it has resonated so much with listeners around the world? Keiki Kobayashi: I think that the game system of Ace Combat has elements that make the music stand out more than normal. This is because of the contrast between the relatively static scenery of the sky and the human drama that plays out there in the battles where the lives of friends connected by radio contact hang on the line. While sensing your own limitations within that small space, your thoughts jump to the lives of those on the other side of the radio whom you cannot see. These are the times when people’s emotions are stirred. I have always thought that players resonate strongly with the music that comes at these times, guiding their emotions and telling a powerful story. The music composed for the series has been able to work so well apart from its function as background to move people and tell a clear story simply as music because of the way the game system was designed to begin with. Chris: Through your soundtracks, you pushed technical as well as musical barriers, with dynamic mixes and surround sound orchestral performances. 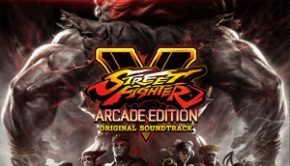 How did you ensure these soundtracks were so well-produced? Did you aim to raise the bar higher with each title? Keiki Kobayashi: When creating the surround sound, my biggest challenge was figuring out how to work with the spatial element of the music. In surround, the role of sound in a 3D game is heightened considerably. You become able to perceive unseen enemies and actions by their sound. That’s why there are differences of opinion over how to position the music. 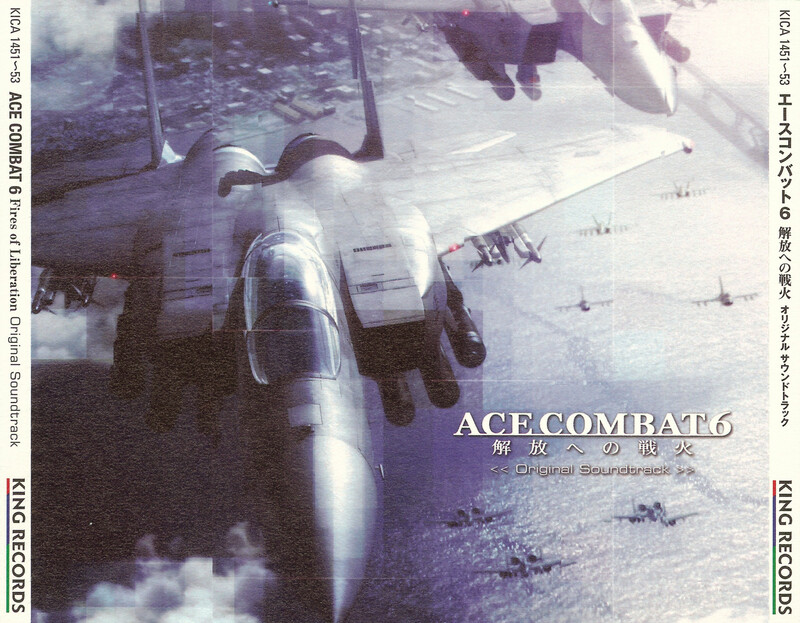 As many of the sound effects in Ace Combat are placed in the foreground, the music ended up being wider overall, as if it were playing from several meters away. With SoulCalibur, where a similar approach was taken, the music was placed in the front, based on the premise of having an orchestra in the pit between the spectator and the theater stage. Chris: You have cultivated strong relationships with artists such as Tetsukazu Nakanishi, Hiroshi Okubo, and Junichi Nakatsuru at Namco Bandai Studios. Could you tell us more about how you developed relationships with these artists on these franchises? How does the Namco sound team foster creativity as individuals and teams in general? Keiki Kobayashi: When working with other members of the team, we write down a whole bunch of words about what kind of feel the project should have and what elements absolutely need to be used, and share them together. There is a limit to how much can be conveyed through works, but even so, it is useful in that by working on expressing those words, working with them from our own perspectives, we can create something with a single consistent feel. Keiki Kobayashi: “Megalith -Agnus Dei-” [Ace Combat 4]: This track is used in Ace Combat 4‘s final mission. The enemies are attempting to activate a large-scale weapon in order to bring the world to ruin. Challenging opponents that have already escaped your strategic maneuvers, the battle takes away both enemies and friends without mercy. I wanted the music to evoke the feelings of hopelessness and grief brought about by the ever approaching crisis of world destruction. The subtitle, Agnus Dei, was my addition. “The Unsung War” [Ace Combat 5]: This is Ace Combat 5‘s final mission music. The situation was similar to “Megalith -Agnus Dei”, and I was worried because the director asked me to produce something with the same kind of effect. In the end, I decided to express the location, as “rather than the Megalith, which is enshrined in the ground, your pilots are attacking an object that is falling from the stratosphere, while flying into the morning sun,” so I composed to fit those parts and the pilots’ emotions during the mission. I thought that because this mission already had an emphasis on the drama, the music shouldn’t be looped from the beginning either, and so the track was composed to fit the script and its structure constructed to fit the necessary length of about 7:16 to coincide with the end of the mission. “A BRAND NEW DAY” [Ace Combat 6]: Ace Combat 6‘s story portrays conflicts and wars from the perspective of street children. With the ending theme, “A BRAND NEW DAY”, I wanted to express not the unthinkable situation of having our own communities embroiled in war, but the love and warmth with which children are always filled and what I believe would be the way children saw peace. For this track, the orchestra was recorded in a studio in Sofia, Bulgaria, and the choir was recorded in a studio in London, so I ended up travelling from Japan to a variety of countries for recording. “ZERO” [Ace Combat Zero]: When I heard from the director that he wanted to incorporate flamenco guitar, I was absolutely convinced from the beginning that that was the direction we had to take. But the Ace Combat series is mostly filled with images of aerial vehicles, and wondering how much and in what way to mix in the exceedingly human sound of flamenco into this setting, I had discussions with the director based on the storyboards and tried a number of tests on the trailer before getting it right. There are a number of elements that actually had to be faked, such as the feeling of volume, but I feel that the final result struck a good balance. Chris: Over the years, such themes have been performed by major orchestras in both studio and live settings. Could you share your experiences at such events? Keiki Kobayashi: Recently, music from Ace Combat 5: The Unsung War was performed in Tokyo’s Suntory Hall (a vineyard-style concert hall specially designed for classical music with the best acoustics in Japan), and I even appeared on stage myself. The music has also been performed abroad in Australia and the USA. I would definitely love to go if I were invited. I could tell stories and such about the music that I’m sure would help the audience to enjoy it even more. Chris: Your contributions to the SoulCalibur franchise are also primarily orchestral, though reflect the distinct setting, gameplay, and characters of the franchise. Could you tell us more about how you found your place in the franchise? What contributions are you most proud of? Keiki Kobayashi: More than simply participating in each project, I have always made a concerted effort to make each better than the last. For that reason, I don’t want to create music that brings attention to me alone; I also consider how I should express the emotions and atmosphere conveyed by a given scene and then whether or not I should introduce myself in addition to that. Although an orchestral sound is something of a specialty for me, I don’t feel it’s strictly required for my music. Sometimes it won’t be used at all in a game. I’ve also written tracks arranged with ukulele, banjo, and acoustic guitar. The orchestral sound is only one way of getting my music across. Chris: Though you’re known for your work on big-budget console games, you have also worked for platforms such as browsers, smartphones, and arcades. What is it like to work on such platforms? Do you enjoy this type of work or do you prefer larger-scale productions? Keiki Kobayashi: I suppose that I enjoy both about equally. From the standpoint of trying to create music that moves people emotionally, it’s not actually different at all. On the other hand, I do feel that the stories in longer works are able to depict more complicated emotions, and it’s worthwhile to work at expressing that in the music. Chris: One of your latest major soundtracks, Disney Magical World, showcases a much more whimsical side to your musicality. How did you approach this title? Was it an interesting change for you? 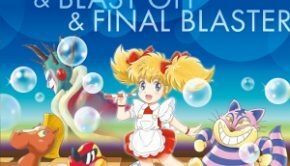 Keiki Kobayashi: I suppose I put the most effort into finding out what exactly creates the old-school Disney feel. For the recording of the string section, I went out of my way to set up a day for rehearsal for these professionals and provided detailed directions for playing the score. I worked on the smallest details so that every listener would be able to recall the way Cinderella’s castle sparkles against the nighttime scenery. The sound may not be the same as the one used in Ace Combat, but I love a variety of music, so I personally enjoy the chance to tailor my compositions for different kinds of games. Chris: You’ve also gained experience as a songwriter in recent years through contributions to The iDOLM@STER games and animes. What were your contributions to this franchise? 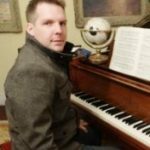 How did the experience of songwriting differ from BGM composition? Chris: Among your other latest projects, the soundtrack of Ace Combat: Assault Horizon was grittier and darker than past entries in the franchise. How did the shift to a real-world setting influence the music here? How did you ensure the final soundtrack offered a blend of both fresh and familiar? Keiki Kobayashi: Ace Combat: Assault Horizon marks a complete overhaul of the system used in previous games. The names of areas and countries are now taken from the real world. 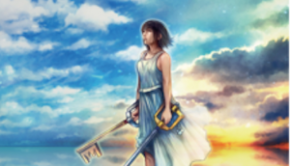 Likewise, instead of continuing the traditions of previous games, the music had to reflect the more realistic and weighty situation of the setting. I found that the fact that the people and objects that I’m depicting in my work were real did have a big impact on the way I composed. With Ace Combat it’s particularly important, seeing as human lives, your own and your opponents’, are on the line during the game. I wanted to compose music that preserved the excitement of the game while expressing the weight of the events, lives, and burdens depicted. Chris: “REBIRTH” from Ace Combat: Assault Horizon won an Annual Game Music Award for ‘Best Main Theme’. Could you elaborate on how you approached this theme? Keiki Kobayashi: “REBIRTH” is used in a scene where a gunner is riding in an attack helicopter. I used a number of ethnic instruments in order to create a sound that would convey the desolate desert region, down to the smells and the dust swirling all around. For the live recorded elements, I teamed up with ethnic instrument musicians in Los Angeles and worked them out by back and forth dialogue on-site, and the orchestral parts were recorded in Seattle. Chris: Most recently, you were featured on Ace Combat: Infinity. Can you tell us more about how the music team handled this title? What can we expect from the new album Ace Combat Infinity & Series Music Best? Keiki Kobayashi: Ace Combat Infinity uses a good deal of music from the series up to this point. That’s because Infinity is meant to get people to become familiar with “what Ace Combat is as a game.” As for the musical approach, I suppose you could say that I supervised the arrangement of a bunch of the music. For the Ace Combat Infinity & Series Music Best album, I wrote out a bit of behind-the-scenes info for the much-loved track “Blockade”. I really would love to get it out to the English speaking world as well, but unfortunately the CD release makes that difficult. Chris: You recently left Namco Bandai Studios to pursue a freelance career. Could you tell us more about your reasons and what we can expect from you in the future? Kobayashi: I felt that I wanted to compose music for a wider variety of projects, outside the boundaries of the company. I think you can expect to see my name associated with games from companies other than Namco Bandai from here on. Of course, I would also like to continue working on future Ace Combat titles as well. Chris: Many thanks for your time today, Keiki Kobayashi. Is there anything else you would like to say? Do you have any messages to your legion of fans around the world? Keiki Kobayashi: The Ace Combat series has given me a chance to be known by people all around the world. 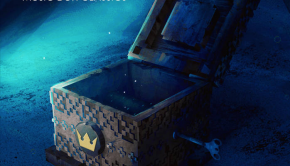 I am very grateful for that opportunity, and I would like to repay the community for what they have given me. The latest information about my projects can be found on my official website, so please check it out if you’re interested. Posted on November 11, 2014 by Chris Greening. Last modified on November 11, 2014.